The mass holidays business and especially selling hotel beds all over the world is a tough one. The margins are negligible. Often – as appears to be the case with Lowcost Holidays – the cash earned for future holidays was used to pay for people that were already away. So if there’s a relatively sudden dip in confidence leading up to the Brexit referendum and then the pound plunges against the euro after the vote, that can be enough to tip the financial house of cards that some holiday companies have erected. Tighter EU rules mean that airlines have responsibility for their customers and must get them home. Also many credit card providers include free travel insurance cover. But the longed for trip away will not now be happening for thousands of Lowcost Holidays customers. The group mainly sold hotel accommodation through its wholesale (Lowcostbeds) and retail (Lowcostholidays) businesses. It also sold holidays to consumers in Europe and Scandinavia using technology that enabled customers to choose from a variety of flights and hotels for their chosen destination. The failure will affect many customers who have purchased flights or holidays, some of whom are on holiday in resorts and some of whom have not travelled yet. A statement said that all flights involving people currently in resorts have been paid for and hence customers will be able to fly home when their holidays are over. It added that, “unfortunately, as regards customers who have not travelled as yet a small number will have problems as regards their flights not having been paid for and many will have problems as regards their hotel rooms not having been paid for”. 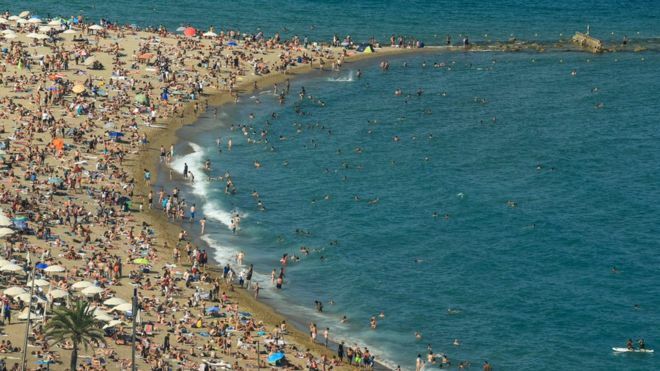 A spokesperson for the UK regulator, the Civil Aviation Authority (CAA) said: “We understand the Spanish travel company Lowcost Holidays has ceased trading. The company was based in Mallorca and was registered with the Balearic Islands authorities. “The company was therefore not part of the UK’s Atol scheme and the Balearic Islands authorities are responsible for the holiday protection arrangements for the company’s customers. “We believe the company may have had a large number of British customers and many of these are likely to be overseas. Lowcost Travelgroup employed 120 staff in Crawley, West Sussex who have been made redundant. Most of the company’s 451 staff were based in Poland.